Old Man Winter and that groundhog seem to want to keep New York City in their Vice Grip of cold weather and this butterfly who is a Spring Baby (my birthday is coming up in April) yearns for signs of Spring and sunshine. I found some amazing signs of Spring at the Media Preview of The Orchid Show at NY Botanical Gardens this week and I can't wait to share! 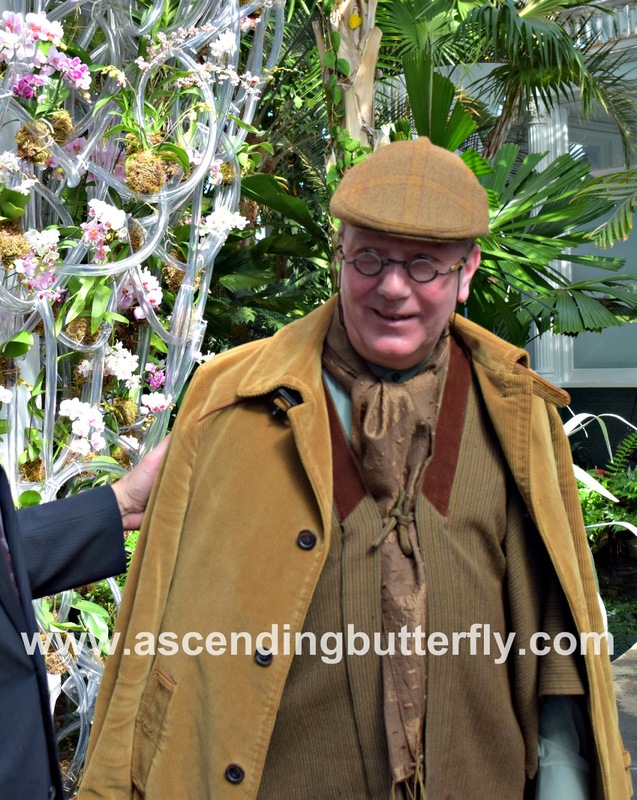 The annual Orchid Show, now in its 16th year, showcases thousands of dramatically displayed Orchids in the NY Botanical Garden Enid A. Haupt Conservatory featuring a series of installations designed by one of the world's leading floral artists, Daniel Ost. 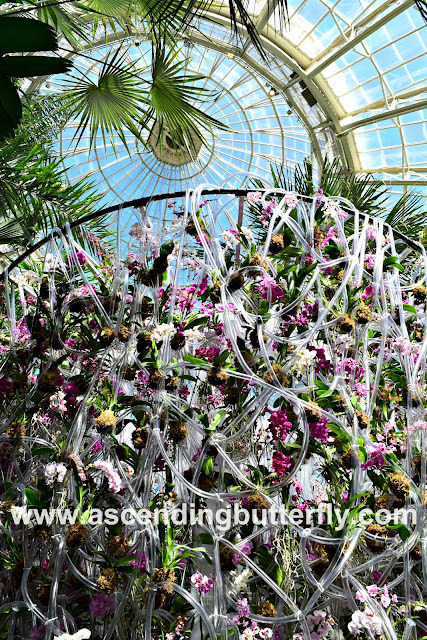 Ost uses flowers as a means of expression and his large-scale artworks were tailored to compliment the landmark Victorian Styled Conservatory and it's an explosion of texture, form and colors! If you read my last post you know I made the switch from shooting with Canon to shooting with Nikon and that March is "Spring Into Photography" month on Ascending Butterfly to celebrate all things Photography. At this point in my journalism career I am just as much a Photographer as I am a Writer and last year's PDN Photo Plus Expo really got me fired up about upping my photography skills. This event was the inaugural run with my new Nikon and I am definitely happy I made the switch. So to celebrate you will see tons of activity on my Instagram so be sure you are following me there. I really want to grow my Instagram a bit more this year as it was one of the last social channels I adopted. All my photos on Instagram this month will be hashtagged: #SpringIntoPhotography and #AscendingButterfly - if you would like to join us add those hashtags to your photos. There will be fun giveaways in honor of Spring into Photography month, and this one is the first one. Whether it's a Digital Camera or your Smartphone, a good photo is about that combo of hardware and a great subject, and I can't think of a better backdrop for a fun photo challenge. "Orchid Evenings" from 6:30 - 9:30, combines Music by DJ X-RAY, Cocktails (check out the Dancing Lady Signature Cocktail by Edible Bronx's Head Mixologist), Live Performers and the sublime beauty of the delicate orchids that are allowing visitors to make unique connections on themed 'adult only' evenings that allow for a romantic date night, or even a way for singles to connect and meet. Orchid Evenings are being held Saturdays, March 17, 24, 31, and April 6, 7, 13, 14, 20 & 21 - you are admitted based on the time on your ticket, Entry Times are at 6:30, 7:00 & 7:30 p.m.
$28 for Members and $38 per ticket for non-members, the ticket includes one complimentary beer, wine or cocktail of your choice. Head to the show before your time and hit the gift shop or dine at The Pine Tree Cafe where you can enjoy a special event menu. If you are into the hashtag trend of taking photos and selfies in front of interesting backdrops like flower walls you are going to LOVE this exhibit, so dress up a bit! Ascending Butterfly and The New York Botanical Garden want to help melt away those winter blues and put some 'Spring' back in your step! Enter to win a pair of passes to Orchid Evenings at The Orchid Show at New York Botanical Garden! This Giveaway and ends SOON so you will have a better shot at picking the dates you want to go! Prize does NOT include airfare, hotel or transportation and is based on availability. Use the rafflecopter widget below to place your entries! (If reading this put the widget to sleep you may need to refresh the page again to get the widget to show up for you so you can place your entries.) Remember Orchid Evenings are on Saturday Night's Only, and you must be 21 years of age or older to claim your passes as there are cocktails being served, this is an ADULT ONLY giveaway! The New York Botanical Garden is one of my favorite 'Urban Oasis' places in Bronx, New York. Being there just adds instant zen to my day. 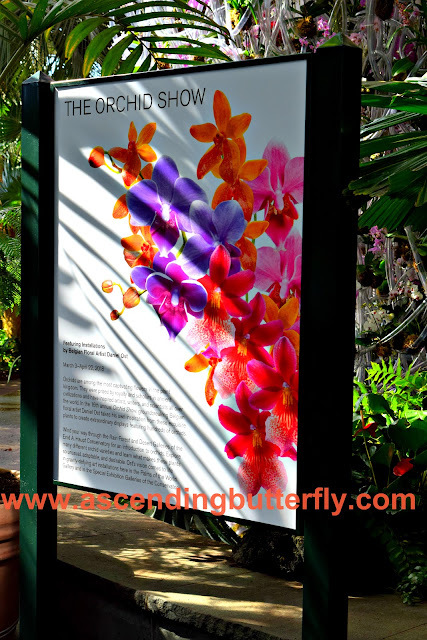 I always love attending the Orchid Show annually, it truly gets me looking forward to all things Spring. Whether you are single and ready to mingle or lost in love, The Orchid Show has a little something for everyone! Tip for my "Guy Butterflies": If you are planning to get engaged, this is the perfect backdrop for popping the question! I took almost 300 photos, so check out Ascending Butterfly's Insta and Pinterest during the month of March for Additional Photos, I knew I couldn't get them all into one post. Have you ever cultivated an orchid? What is your favorite flower? FTC Disclosure: No monetary compensation has been received to post our recap of the show or host this giveaway, and all opinions are 100% my own! We were provided media access to the show for editorial consideration. I am disclosing this in accordance with the Federal Trade Commission 16 CFR, Part 255 - Guides Concerning the use of endorsements and testimonials in advertising, you may check our Giveaway and Disclosure Page for additional information regarding Ascending Butterfly Disclosure.